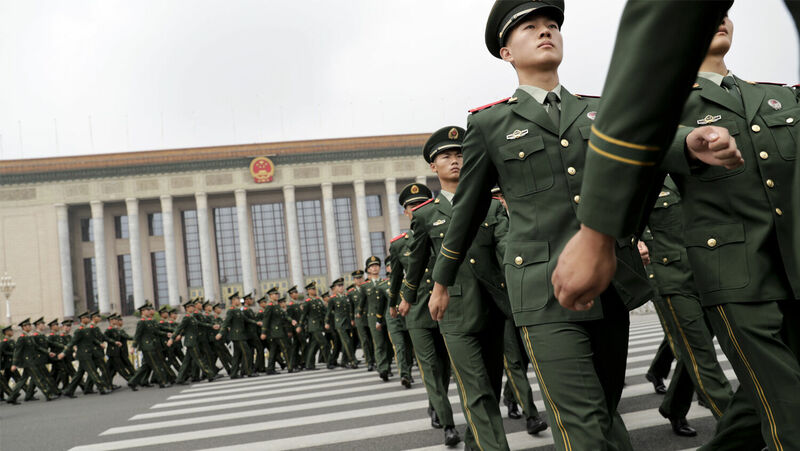 Chinese paramilitary policemen march outside the Great Hall of the People after attending a ceremony to commemorate the 90th anniversary of the founding of the People’s Liberation Army on Aug. 1, 2017. Speaking to more than 7,000 Chinese servicemen on Wednesday, January 3, the Communist Party’s general secretary ordered all members of the People’s Liberation Army (pla) to ready themselves for the outbreak of war. In a clip showing Xi’s speech, the camera regularly takes in the vast array of soldiers and military equipment. The magnitude and regimentation of those present reinforces the power wielded by this East Asian country. The president’s direct orders to the pla are another big step for Xi in securing power for both himself and his nation. This news falls in line with what the Trumpet has been writing concerning the rise of this Asian strongman. Trumpet writer Jeremiah Jacques wrote in his article “Xi Jinping: Emperor for Life” that during his first term in office, Xi has accumulated more power than any Chinese leaders since Mao. Revelation 16:12 and 9:16 show that China’s development as a world power has been prophesied within the pages of the Bible. As one of the “kings of the east,” China is set to help Russia create an armed force numbering in the hundreds of millions! Xi’s success in cementing power over his nation’s military and foreign policy is worth watching closely, as it may provide an important clue about how China will be steered onto its prophesied collision course with Europe—and how close this conflict could be. For any nation destined to play a decisive role in shaping history, an ambitious leader with the power to steer his nation is key. China’s dominant role in these end-time prophecies indicates that such a man could rise on the scene to lead it to rally behind Russia. Current events are backing up the words recorded in the Holy Bible. Be on the lookout for China and its allies to continue to expand their military power, reinforce their governments, and prepare for soon-coming global conflict!